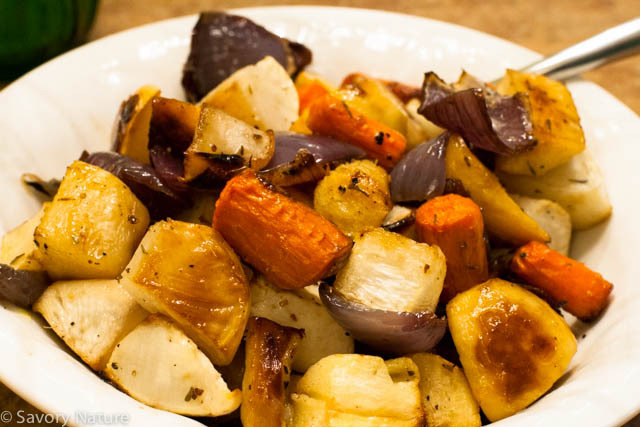 Drain vegetables and toss with thyme, olive oil, lemon juice, pepper and salt. Spread on a rimmed baking sheet and roast for 35 minutes, until browned and tender. 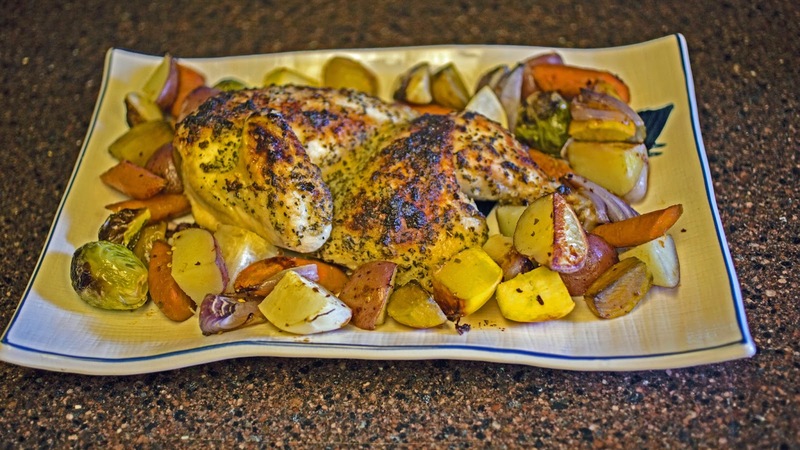 Spread on a rimmed baking sheet and roast for 35 minutes, until browned and tender. As well as root vegetables, patty pan squash and asparagus are delicious roasted. Sprinkle with herbs and a little balsamic vinegar or lemon juice. 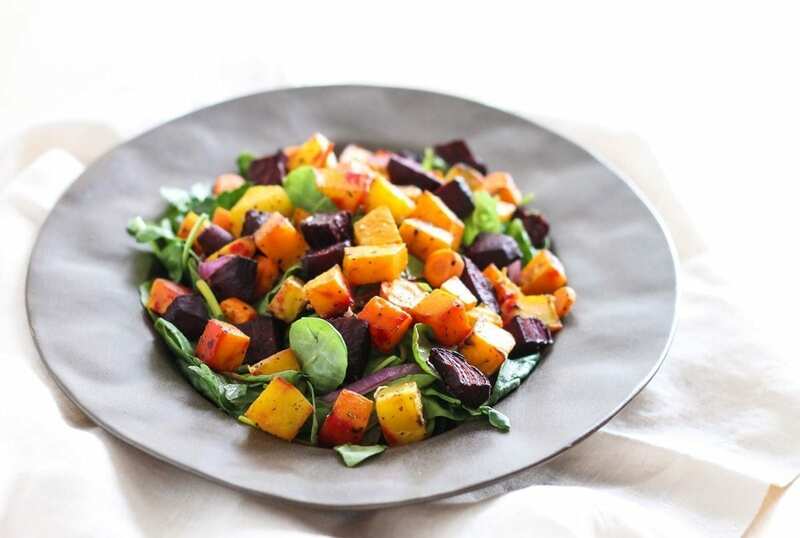 * Quartered acorn squash is good roasted with mixed root vegetables.